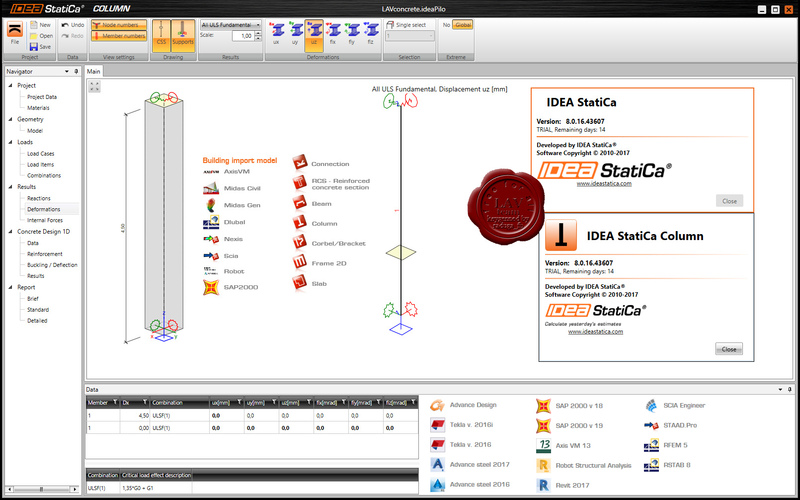 IDEA RS is developing a new generation of designing and checking programs. Structural engineers and consultants use them to design residential, civil and industrial structures. We deliver a flexible system of programs to enhance output and working comfort of every engineering office. IDEA StatiCa enables engineers to design every new construction cheaper and safer by minimizing risks of structural defects, decreasing material consumption of construction members/details by up to 30%, reducing time spent on designing of construction members/details by up to 50%, providing 100% ”white box” results for engineers, general contractors, checkers and construction authorities. 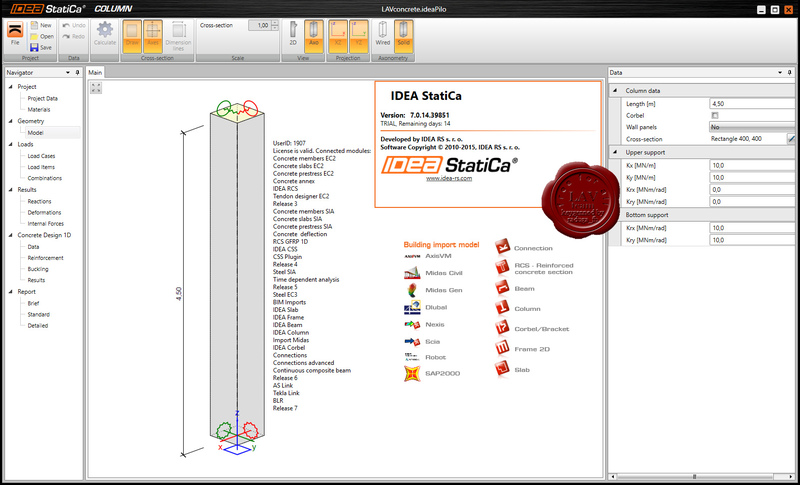 IDEA StatiCa Concrete is used by engineers dealing with members/details of concrete structures. 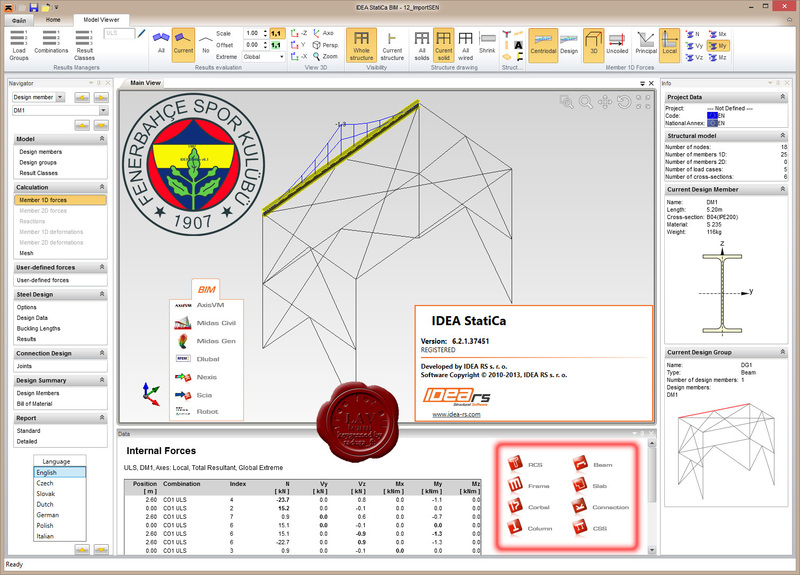 Designing is based on internal forces model created either in IDEA StatiCa or imported from FEA programs like Midas, Axis VM, SCIA Engineer and others. More info. IDEA StatiCa Prestressing is used by engineers for the design of members, cross-sections, and details of prestressed concrete structures and bridges. The program is suitable for an extensive range of applications in both pre- and post-tensioned concrete market. More info. IDEA StatiCa Steel is used by engineers dealing with members, joints, connections, details and cross-sections of steel structures. Its functionality is organized into modules depending on the member which is to be analyzed and designed – Connection, Beam, Column, Frame etc. More info. 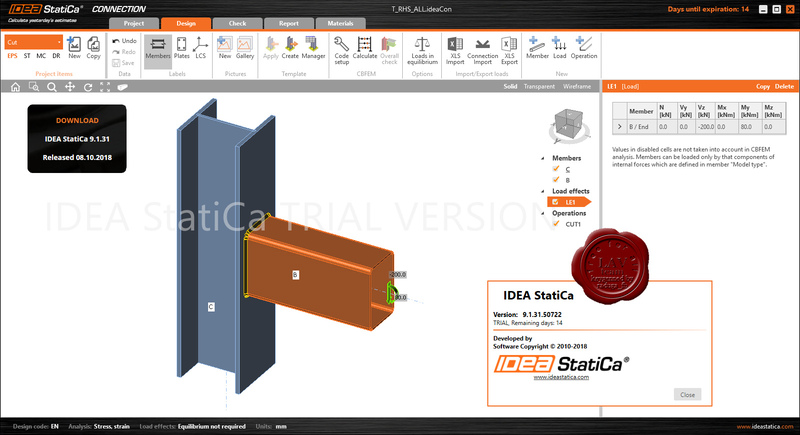 IDEA StatiCa enables engineers to design every new construction cheaper and safer by minimizing risks of structural defects, decreasing material consumption of construction members/details by up to 30%, reducing time spent on designing of construction members/details by up to 50%, providing 100% "white box” results for engineers, general contractors, checkers and construction authorities. 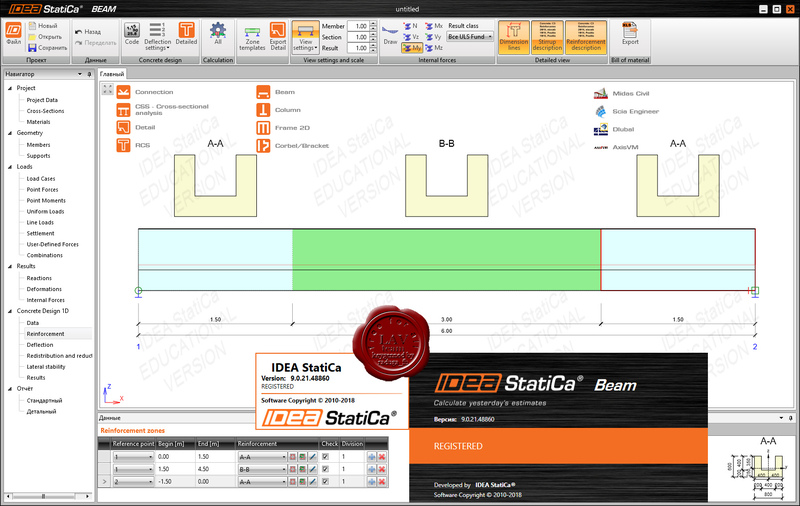 IDEA StatiCa Concrete is used by engineers dealing with members/details of concrete structures. Designing is based on internal forces model created either in IDEA StatiCa or imported from FEA programs like Midas, Axis VM, SCIA Engineer and others. IDEA StatiCa Prestressing is used by engineers for the design of members, cross-sections, and details of prestressed concrete structures and bridges. The program is suitable for an extensive range of applications in both pre- and post-tensioned concrete market. IDEA StatiCa Steel is used by engineers dealing with members, joints, connections, details and cross-sections of steel structures. Its functionality is organized into modules depending on the member which is to be analyzed and designed – Connection, Beam, Column, Frame etc.